At the start of August this year, Bank of England governor Mark Carney cut interest rates to 0.25% from 0.5%; this big move will affect everyone – borrowers, savers and mortgaged homeowners – but in different ways. The halving of interest rates is bad for savers, but good for borrowers, especially mortgage-holders, so how will your mortgage be affected? A mortgage is the biggest debt that most households have, with 11.1 million households paying one. The average outstanding loan amount is £116,000. A typical profile of a UK mortgage is a £211,000 variable-rate loan over a 25-year period, with a 20% deposit. This average gives us a £779 monthly repayment, which will be reduced by £22 each month after the rate cut. 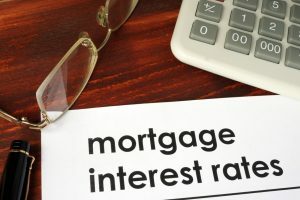 However, not all mortgage holders will feel the benefit immediately, as only those with a bank rate tracker mortgage will have their own rates changed. Only one in five mortgages in the UK are of this type. Just under a third of homeowners are on a standard variable rate deal, which reverts to a higher default rate after a specified period of time, unless the customer re-fixes the mortgage. These people will have to hope that their provider passes on the interest rate cuts – some may pass only part of it on, while others might make no change at all. A few banks said they would lower their rates from September, with many others promising to follow in October and November. The Bank of England announced its Term Funding Scheme, which is designed to make sure UK banks pass on BoE rate cuts. Carney himself said there was no reason or excuse for banks to maintain their current interest rates. People on fixed-rate mortgages – 46% of mortgaged households – will see no change until their current deal expires, after which they should get a cheaper deal, although fixed rate deals have been getting cheaper anyway. Those on longer-term fixed deals – some up to ten years’ duration – will see no change unless they are approaching the end of the term.